The interactions between the conductor, the members of the orchestra, and the audience add to the fun! This is the best deal in town. For only $15.00 you can experience the enjoyment of a wonderful concert by world class musicians from the best seats in the house. The CPO designates a number of concert rehearsals throughout the year to which they invite an audience of senior and student groups. Enjoy a variety of between 6 to 8 concerts offered in Calgary’s excellent musical venue by Calgary’s best orchestral musicians, guest artists and conductors. 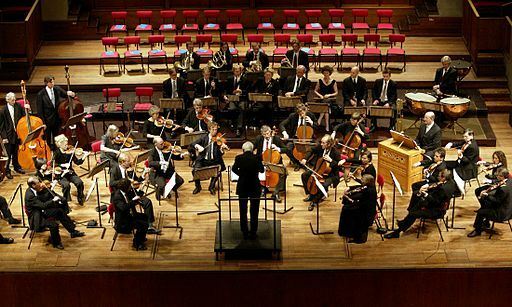 Develop a heightened appreciation of classical and orchestral works and their composers. Pay a fraction of the price of attending an evening concert. Choose to sit wherever you want in the concert hall. Enjoy the interaction between conductor and musicians in a working rehearsal. Have opportunities to socialize with other CALL members at intermission and after at an informal lunch nearby, usually at Capuccino’s. As a member of the CALL “Attending CPO Rehearsals” group, you arrive at the Jack Singer Hall in the Arts Commons downtown at 9:30 am, identify yourself as a CALL member and pay the $15.00 concert fee directly to CPO staff. The concert rehearsals promptly start at 10 am and finish at 12:30 pm, usually with a short intermission. We thank the several members of CALL who recently brought to our attention that the schedule of rehearsal concerts the CPO supplied us with last August was incorrect for the month of January. On inquiry, The CPO has confirmed this and advised us that the January concert is on Friday, January 18th, and the program is to be “Music of the Movies”. Note that the January 25th Mozart concert is therefore deleted from the seniors and students rehearsal concert schedule (the remaining concerts are as listed). Please amend your calendars for this one change and we apologize for any inconvenience you may experience because of this oversight. Registering for the group this year is not required. *Before you participate in the group, you must be a member of CALL.